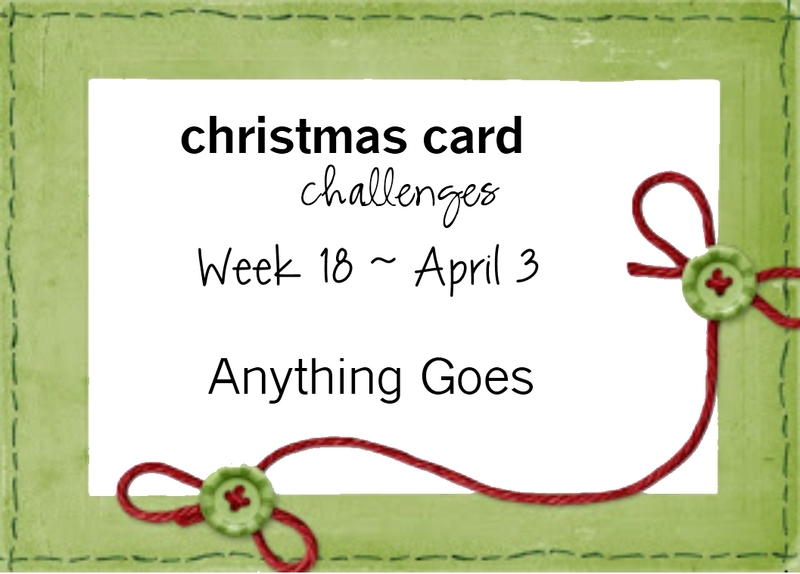 It may seem a bit odd, since our challenges every week do have an "Anything Goes" option, but this week there's no Photo or Color Challenge to inspire you. . . so you're on your own. I can't wait to see what you create. I have a mini tutorial for you this week; so grab a cuppa and let's get crafty. I decided to use my "Quilt" Embossing Folder for my card. Since my 1-1/4" punch was just a tad shy of the "squares" on the EF, I had to adjust the layout; which meant the squares on the outer edges would need to be cut so they fit an A2 card and there'd be a slight gap between the squares. 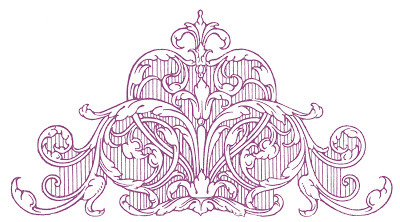 All lined up and ready to be embossed. This is the back side. You can see the quilt pattern a bit better on solid cardstock...and you can see where the DSP needs to be trimmed. I decorated the inside and completed the sentiment. 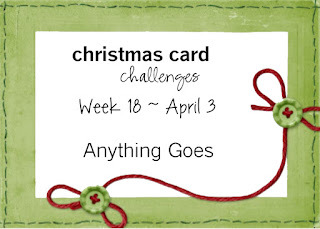 Stop by the Christmas Card Challenges blog and see what the other Designers created this week. Then, get busy and link up your Christmas card. I can't wait to see your creation. 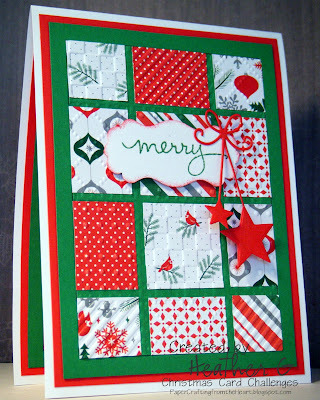 Your quilted card is beautiful! So cool! Love it in reds and greens.